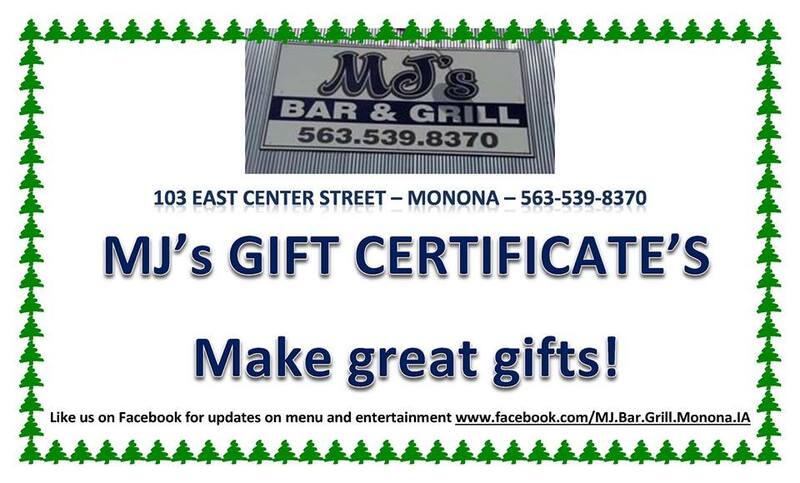 MJ's Bar & Grill - Monona Chamber & Economic Development, Inc.
MJ's Bar & Grill has a full bar serving daily bar specials, and a full-service kitchen offering daily food specials of the most creative and delectable food combinations like any other big-city establishments. We make eat-in or take-out pizzas, so just give us a call about 20 minutes before you're ready to enjoy your pizza & we'll have it piping hot and waiting for you. MJ's entertainment regularly features pool tables, darts, Karaoke, live bands, with plenty of dancing room. We were the sole sponsor of 2015's FREE Monona Hay Days street dance featuring a live five-piece band to which the whole community enjoyed listening and dancing. Call on MJ's whenever your church, group, or organization is planning its fundraising events. MJ's location in historic downtown Monona is the perfect place to host your event and has done so for dozens of non-profit groups over the years. Our owners and staff thoroughly enjoy helping our community by providing a fun and festive place to gather crowds that give them plenty of elbow room for dancing the night away, playing darts or billiards, singing Karaoke, etc. ​Did you know . . . MJ's serves smooth soft-serve vanilla ice cream inside your choice of bowl or cone, plus they create creamy root beer floats. Grab your friends & come chill out with us! DID YOU HEAR THE NEWS . . . MJ's is now offering GLUTEN-FREE menu items! on all of our hand-breaded fried items. Please visit us if these are the tasty specialty food items you're looking for -- just ask your server for more details. Open at 11 a.m. seven days a week, we're serving for lunch, dinner, desserts, and snacks up until the bar closes for the day. We invite you to visit MJ's any time, maybe after the next school sports activity or come to watch the Super Bowl on our big screen TV. 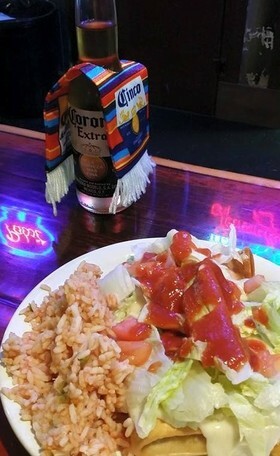 Bring along your whole family and check out MJ's Bar & Grill's cozy down-home atmosphere, outstanding customer service, and the greatest variety and best all-around food and drinks and entertainment.